The origin of the words to the Three blind mice rhyme are based in English history. The ‘farmer’s wife’ refers to Queen Mary I. Mary,a staunch Catholic, was determined to restore Britain to the Catholic faith at any cost after her father, King Henry VIII, broke from Rome setting up the Protestant Church of England. Her violent persecution of Protestants led to the nickname of ‘Bloody Mary’. The reference to ‘farmer’s wife’ in Three blind mice refers to the massive estates which she, and her husband King Philip of Spain, possessed. 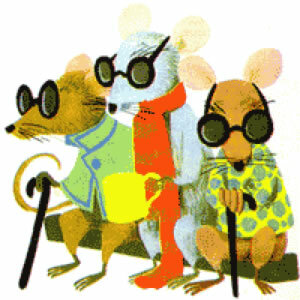 The ‘three blind mice’ were three noblemen who adhered to the Protestant faith who were convicted of plotting against the Queen – she did not have them dismembered and blinded as inferred in Three blind mice – but she did have them burnt at the stake! Mary, Mary, Quite Contrary has been seen as having religious and historical significance, but its origins and meaning are disputed as is often the case. The most common interpretation identifies “Mary” with Mary I of England. 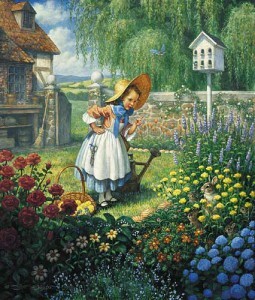 The “How does your garden grow?” may make mocking reference to her womb and the fact that she gave birth to no heirs, or to the common idea that England had become a Catholic vassal or “branch” of Spain and the Habsburgs, or may even be a punning reference to her chief minister, Stephen Gardiner (“gardener”). “Quite contrary” could be a reference to her attempt to reverse ecclesiastical changes made by her father Henry VIII and her brother Edward VI. The “pretty maids all in a row” could be a reference to miscarriages or her execution of Lady Jane Grey. Capitalizing on the Queen’s portrayal by Whig historians as “Bloody Mary”, the “silver bells and cockle shells” could be colloquialisms for instruments of torture. Pease pudding, sometimes known as pease pottage or pease porridge, is a term of British origin regarding a savory pudding dish made of boiled legumes, which mainly consists of split yellow or Carlin peas, water, salt, and spices, often cooked with a bacon or ham joint. It is a smooth, thick sauce, (referred to as a pudding in the rhyme for the sake of alliteration) which has a dark yellow colour. It can be re-heated as often as required (Pease pudding in the pot – nine days old). Pease pudding is traditionally served hot with boiled bacon or a form of sausage called a saveloy. Akin to a lot of such rhymes, its beginning are uncertain. A few assert it was printed by Dr. Thomas Muffet, a 16th century English entomologist, for his step-daughters; others assert it refers to Mary, Queen of Scots, who was thought to have been scared by John Knox, a Scottish spiritual reformer in the 16th century. The last account is doubted by the majority literary scholars, who note that stories connecting folk tales or songs to political proceedings are a frequent urban legend. A “tuffet” is a little stool, frequently three-legged and topped by means of a cushion, or a tuft of earth and grass. Or the last name “Muffet” may be a theatrical production on the expression “muffin”, or merely made-up to rhyme with “tuffet”. 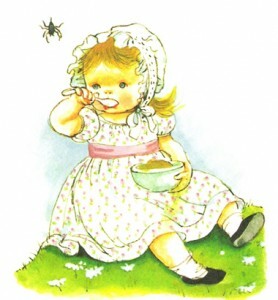 “Little Miss Muffet” is a nursery school rhyme. 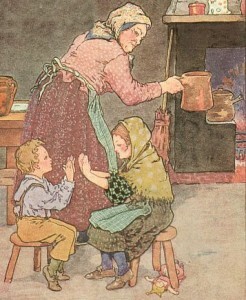 It first appeared in print in 1805, in a manuscript titled Songs for the Nursery school. 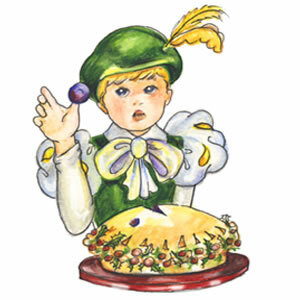 Little Jack Horner was reputed to have been the Steward to Richard Whiting (1461 – 1539) the Bishop of Glastonbury. The Steward had an important role and was responsible for managing the household, collecting taxes and keeping accounts. The Church, the King and the Gold Glastonbury was the largest and wealthiest Abbey in England and this Benedictine Monastery owned extensive lands and manors in the county of Somerset. Between 1536 and 1540, after breaking away from the Catholic Church, King Henry VIII and his chief minister Thomas Cromwell set about the systematic Dissolution of all of the Monasteries in England. The reason for was to loot the monasteries of their gold and silver and seize the monastic lands. By 1539 Glastonbury was the only religious house left in Somerset and it was only at matter of time before Glastonbury Abbey was also seized. The Bribe It is rumoured that the Bishop tried to bribe the King. He sent his Steward, Richard Whiting, with a gift of twelve title deeds to various English manorial estates. The deeds were said to have been secreted in a pie (valuables were often hidden in this bizarre fashion to thwart thieves). Whiting (Little Jack Horner) realised that the bribe would do no good and was said to have stolen the deeds to the manor of Mells (it being the real ‘plum’ of the twelve manors). The Traitor and the Execution The remaining eleven manors were given to the crown but to no avail. The old Bishop was convicted of treason for remaining loyal to Rome. 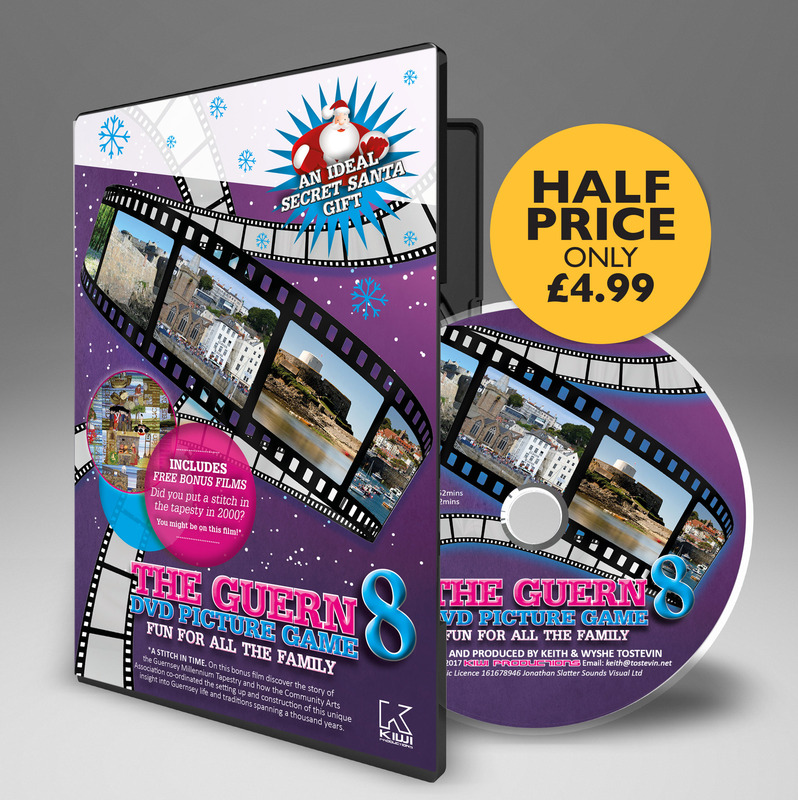 The jury included his treacherous steward Horner who found Bishop Whiting guilty and sent the old man to a terrible death of being hung, drawn and quartered on Glastonbury Tor. The Abbey was destroyed. Following the destruction of the abbey the steward, Horner moved into the Manor of Mells. Whether Horner actually stole the deeds to the Manor or was rewarded with them for helping to convict the Bishop of Glastonbury is not known but the Manor of Mells became the property of the Horner family who lived there until the 20th century.